MEL'S MESS: Clare Curd Crafts Blog Re-launch! Clare Curd Crafts Blog Re-launch! Clare is offering this amazing smash prize (RRP £23.99), to be in with a chance of winning it all we ask is that you help us to publicise this exciting event. You will need to share this image via facebook, blogger, or twitter and for each share you will gain one entry into the draw. Just let us know that you have done so and leave a comment on the DT blog! 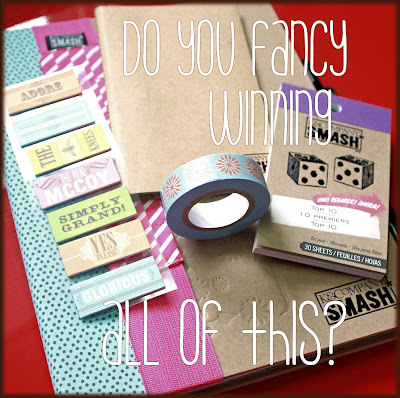 The winner of this prize will be announced at the blog party - good luck!